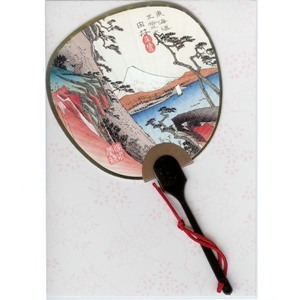 1 small fan with blank side for message. Comes with envelope and small packet of smelling salts to scent the card. A view of Mt. Fuji by Hiroshige. Part of his Tokaido 53 series.